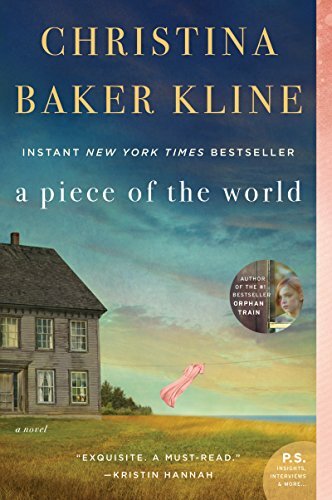 Lib Hauser will lead a discussion on A Piece of the World by Christina Baker Kline. Sue Mack is the hostess. Please call Sue at 630 357 0735. If you are planning to attend. If you would like a ride, please email Carol Dunn at carolrdunn@comcast.net or Sally Hines at sallyhines@comcast.net.